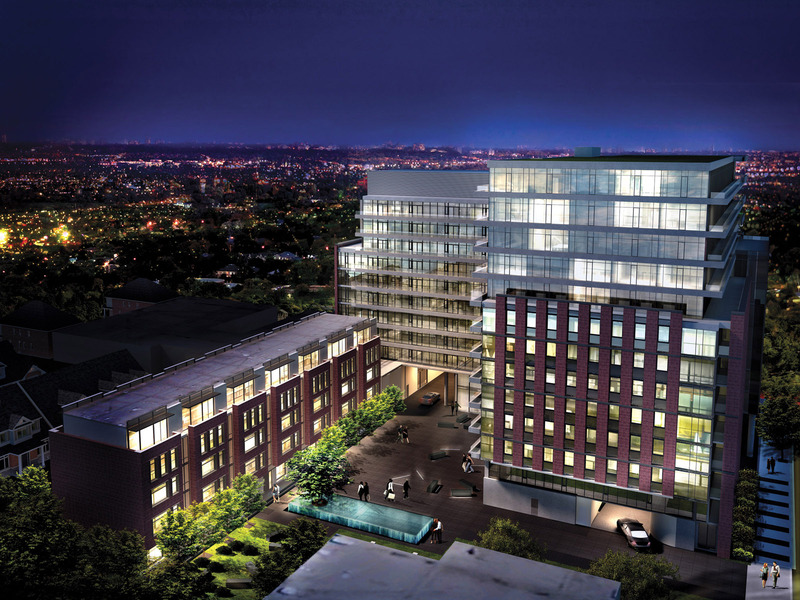 When it comes to mid-rise condominiums in Toronto, Streetcar Developments is king! This progressive developer has a knack for creating the perfect choices in some of the city’s most exciting evolving locations. Guided by the motto “Rethink Urban Living,” the company is introducing beautifully designed modern buildings in neighbourhoods that are becoming coveted locales for loft dwellers. Take Leslieville, for example, which The New York Times referred to as a destination for dining, shopping and living. This east-end area of Toronto is home to film studios, trendy shopping, lush parks, exciting entertainment, easy access to public transit and some of the city’s best dining (delectable brunch, anyone?). Within these vibrant surroundings, Streetcar is developing two incredible loft condominiums in partnership with Dundee Realty Corporation, with exteriors by TACT Architecture and interiors by Seven Haus Design. The Carlaw is an intimate 12-storey condo well under construction on the northeast corner of Carlaw and Dundas. 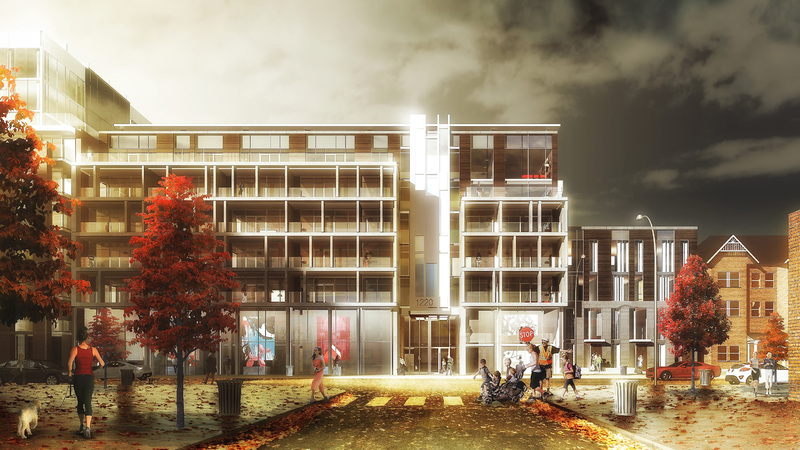 In addition to contemporary suites and amazing amenities appointed by Seven Haus Design, it will feature Crow’s Theatre, which will add a whole new dimension to Leslieville’s roster of amenities. This exciting facility will have a 200-seat theatre, studio rehearsal space, community programming area, and a trendy bar and restaurant. Hurry, and you can take advantage of a limited-time special on a suite design that comes with a private terrace on the roof. Visit thecarlaw.ca. Right next door, Streetcar offers The Taylor, which will feature a new and stunning cladding called Öko-skin. These concrete slabs are about as high as a brick but much wider. The result is a perfect marriage of traditional and modern. Inside, owners will have 9-foot exposed concrete ceilings and a roster of modern finishes. Choose from lofts and a limited collection of two-level urban townhomes. Visit TheTaylorLofts.ca. Moving west, Toronto’s Art & Design District around Queen Street and Gladstone Avenue is hopping with activity, with bistros, cafés, bars, shops, galleries and easy transit links. What an awesome setting for The Carnaby, Streetcar’s third condominium in a collection of four that will form a unique community centred around a European-inspired courtyard. The company’s popular 2 Gladstone and 8 Gladstone have paved the way for The Carnaby, which has already proven tremendously successful. 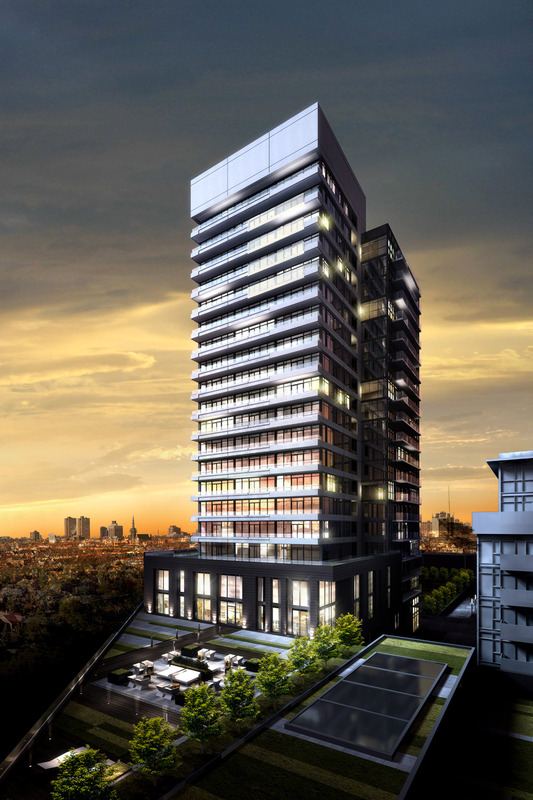 Streetcar recently announced the release of two-storey designs in this 11-storey loft building, as well as large penthouses in the 20-storey tower. Here, Streetcar has once again teamed up with Dundee Realty Corporation, TACT Architecture and Seven Haus Design to offer an amazing condo lofts opportunity. Visit CarnabyLofts.com.